This team certainly won't last forever. WWE's tag team division certainly hasn't been in the best place. However, things definitely have gotten better. With the New Day as SmackDown Live Tag Team Champions and Dolph Ziggler & Drew McIntyre as Raw Tag Team Champions, the tag team division has the potential to be excellent once again. While some teams such as the Authors of Pain, the Revival, & the Usos should never break up, other teams should. This is a new ream that should not last for long. 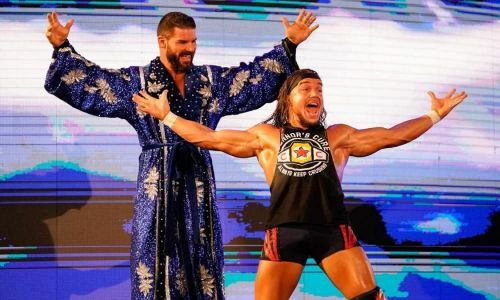 Bobby Roode & Chad Gable formed a tag team with Chad Gable last week on Raw. 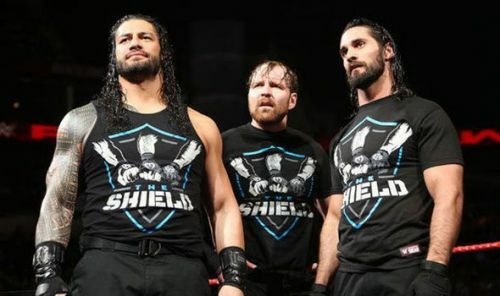 There are 2 potential reasons why WWE decided to form this tag team. The first potential reason is that WWE has nothing else to do for the 2 superstars. The second potential reason is that Bobby Roode is going to turn heel by attacking Chad Gable and will feud with him as well. Hopefully, WWE goes with the second option. Bobby Roode has been floundering ever since WWE debuted him as a face. Bobby Roode's work in NXT proves that he works best as a heel. Chad Gable has been floundering on Raw as well. A match where he can be an underdog would certainly benefit him. Bobby Roode would work well as the cutthroat, vicious heel that a plucky underdog like Chad Gable tries to defeat.